Mix oil, garlic, thyme, and rosemary to dish and cover. 1 hour before grilling, place skewers in water IF they are wood. Preheat grill to approximately 400 degrees, but ensure there are two zones. A hot zone and an indirect heat zone. Repeat the previous step until internal temperature reaches 165 Fahrenheit. 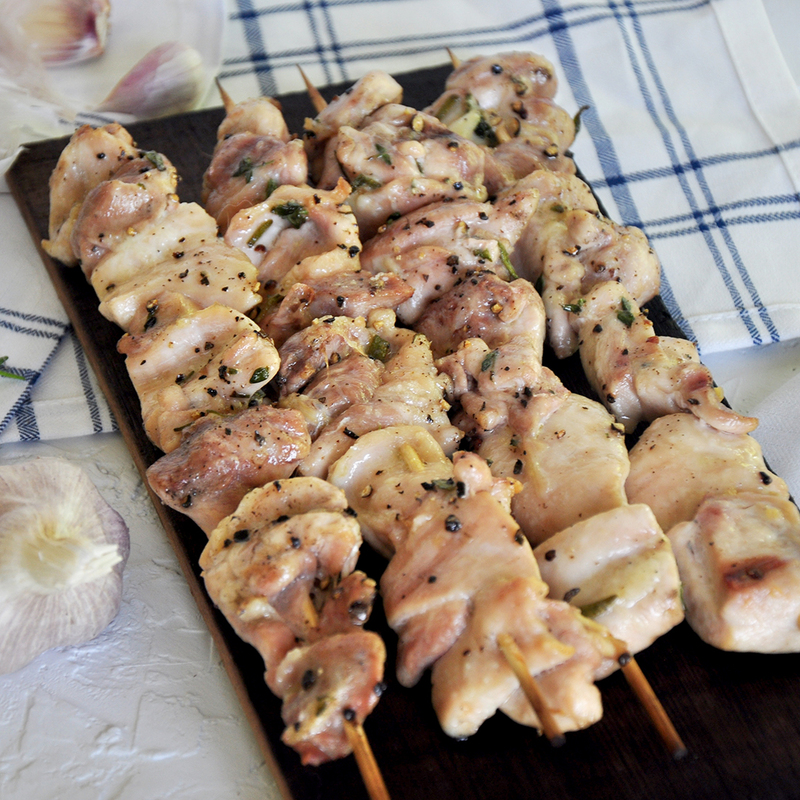 These Grilled Chicken Kabobs are moist, easy, and tasty! Fire up that grill and make some of the best kabobs ever! 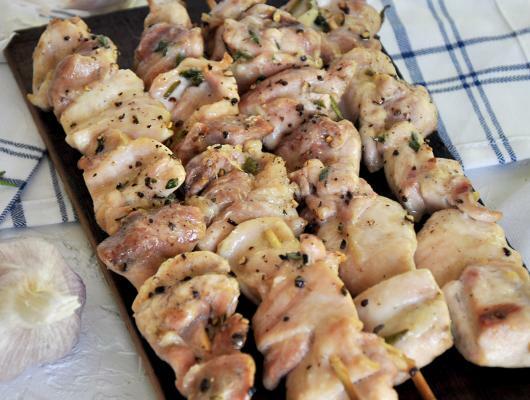 With just a bit of care and temperature control, you can also make some really great grilled chicken shish Kabobs. Besides using the correct cut of chicken (thigh), and a simple marinade (olive oil, rosemary, thyme, garlic), we just need to cook this at an indirect heat. The extra time it takes will pay dividends in a juicy grilled chicken shish kabob.